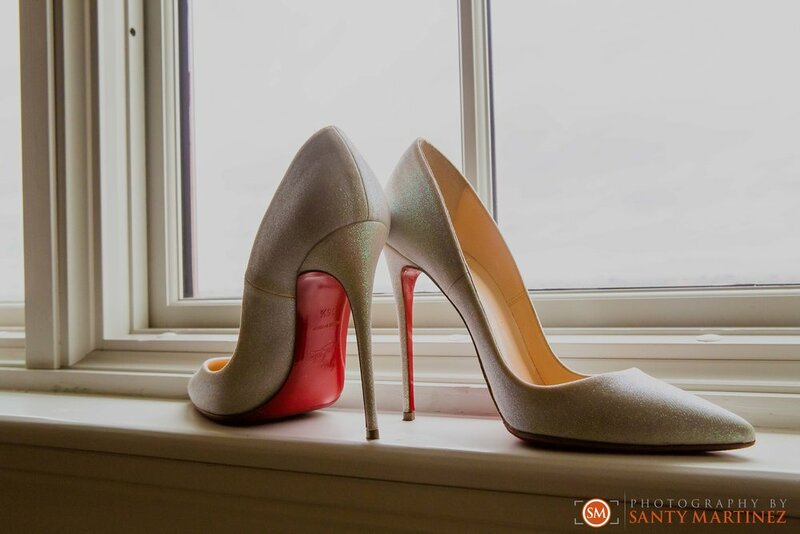 We just loved everything about Christine and Petr’s wedding day! 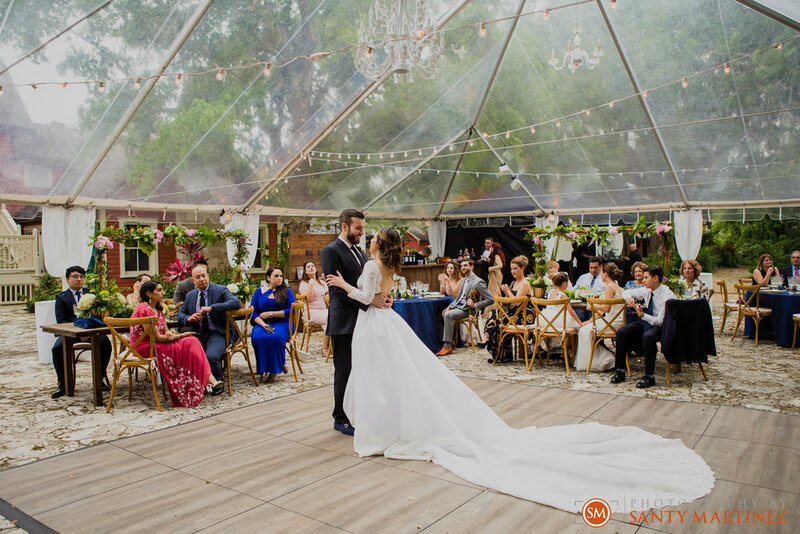 As wedding photographers, we couldn’t have asked for a more beautiful fusion of two people from two wonderful backgrounds; Christine from Cuban descent and Petr from Russia. And with any union of two souls – there is the union of friends and family that make for a spectacular party! To say that we had a good time shooting their wedding day is a huge understatement! Our day began with Christine at the historic Biltmore Hotel in Coral Gables as she got ready with her parents and sister by her side. It was an intimate gathering of her immediate family as they helped their little girl get into her wedding gown. And what a wedding gown it was! Christine’s train was one of the longest and most stunning train’s we have ever seen. Seeing her dad’s face when he first saw his daughter as a bride was priceless. The ceremony took place a short drive away at St. Brendan Catholic Church. Emotions were strong as both sides of the family witnessed the two become one during the traditional ceremony. The icing on the cake was the perfectly executed dip at the end! This was the perfect sign to all the guests that it was now time to party. As we stayed behind for family photos, the rest of the group made their way down south to the beautiful reception venue – the Deering Estate. 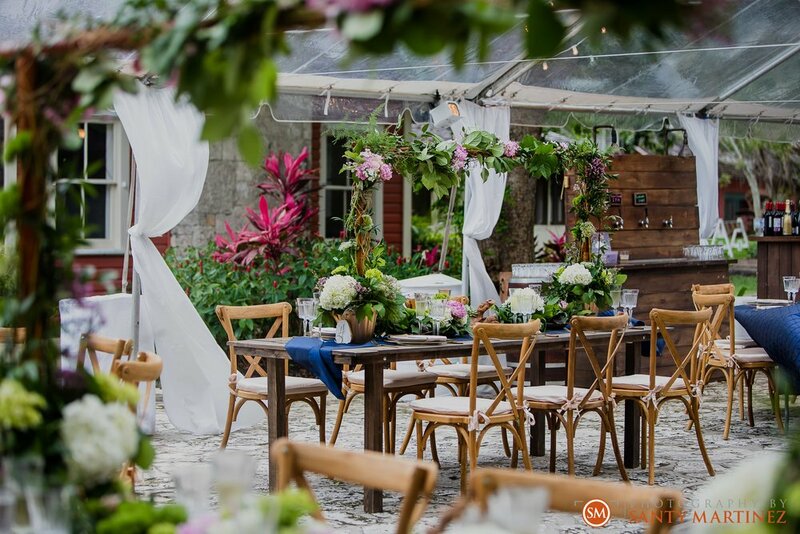 For those of you not familiar with the Deering Estate, it is one of South Florida’s most sought after wedding venues due to its historic elegance and beautiful natural surroundings. How do you enhance an already gorgeous space? You hire Events by Gigi and her expert eye in making your vision come to life. They say it’s all in the details and Gigi always delivers. 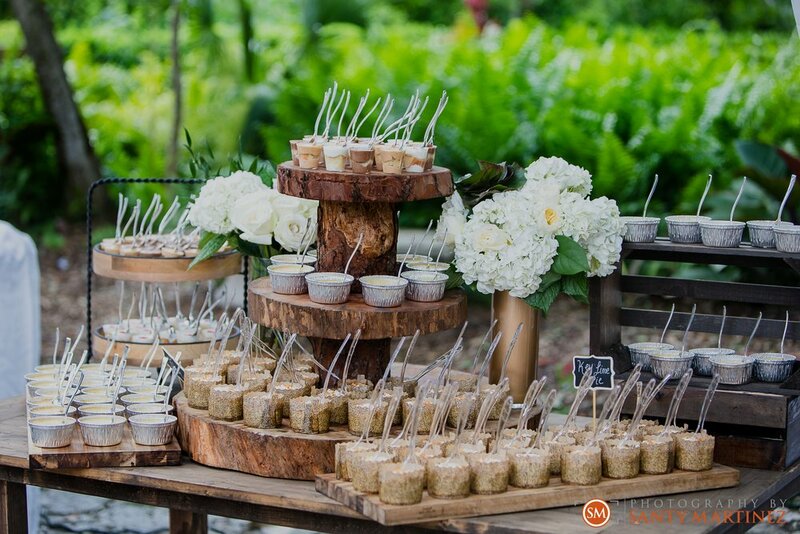 From the exquisite center pieces from Flowers by Gerardo to the spectacular dessert table from Yummi Chori. Shooting all the details at this wedding was a wedding photographers dream! 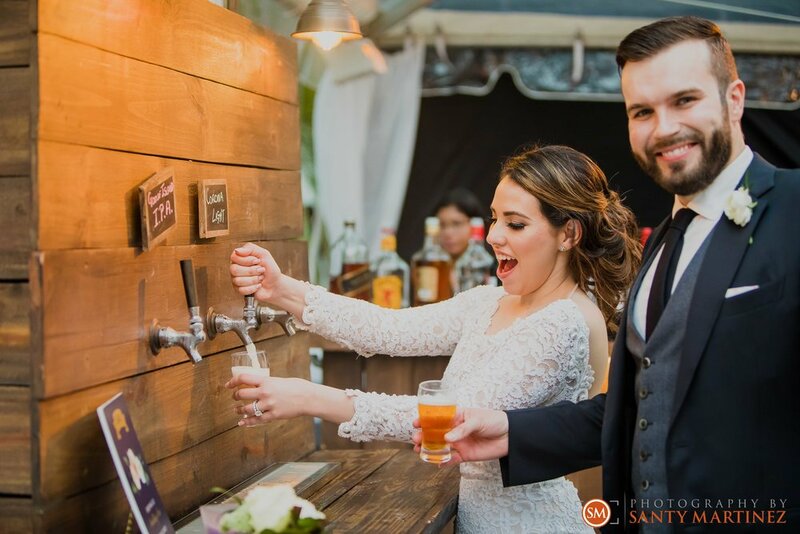 They even had their own draft bar tap where guests could serve themselves. Event Factor was there to keep the party moving as always and Black and Wine showed up to add that extra excitement during the Hora Loca. Our Photo-Booth was non-stop all night as guests grabbed a prop and posed for a fun pic! Most of all, the emotions and smiles were contagious. This group really knew how to celebrate. We would like to send our warmest wishes for a life of happiness for Christine and Petr as we ask you to take a peek at their beautiful wedding photos. Enjoy!